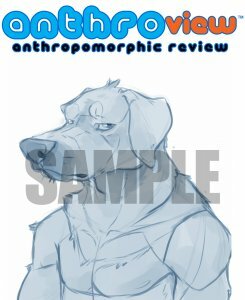 Summercat will be releasing the first issue of his new furry magazine, Anthroview, at Antheria at the end of this month. I got to speak to him about the magazine and touch on some of the other aspects of the furry fandom in which he is involved. Rakuen Growlithe: You're planning to release a new magazine for the furry fandom called Anthroview. When did you first get the idea for Anthroview? Summercat: About three or four years ago, although it's gone through a lot of changes since then. RG: What sort of changes are we talking about and why did it take three or four years to get to this point?